Margaret Yelverton Siegel, 96, passed away on Monday, April 1, 2019 at Brookdale Country Day Road. Margaret was born in Wilson County on November 6, 1922 to the late Samuel Robert Yelverton and Margaret Cox Yelverton. She was married to the late John Siegel. Margaret proudly served her country as a nurse in the United States Air Force and retired after 20 years of service on February 1, 1965 with the rank of Lieutenant Colonel. Margaret’s valor and skill was recognized with numerous decorations. Following her retirement from the Air Force, Margaret continued to work and later volunteered for many years at Wayne Memorial Hospital. 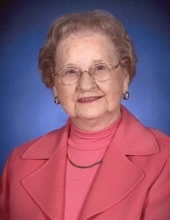 Margaret loved Daniels Memorial United Methodist Church and was a dedicated and faithful member. She had a large extended circle of family and friends and they were all very special to her. She will be missed, but greatly remembered. A service to celebrate Margaret’s life will be held at 2:00 p.m. on Wednesday, April 3, 2019 in the mausoleum chapel at Wayne Memorial Park with full military honors. The family will greet friends at the cemetery following the service and at the home of her brother, Richard Yelverton, 488 Church of God Road, Goldsboro. Margaret is survived by her foster son, Edwin Barefoot of Homestead, FL; brother, Richard B. Yelverton of Goldsboro; and several nieces and nephews she loved very much including her special nieces, Nan Wilkins and Peggy Taylor. In addition to her husband and parents, she was preceded in death by her sister, Mary Yelverton Taylor and brothers, John Edwin Yelverton and George E. Yelverton. The family would like to express their appreciation for the compassionate care provided by Crystal and Ashley with Community Home Health and Hospice Care. Love and heartfelt thanks is also expressed to her caregivers and friends, Linda Smith, Freda Carr, Emily Harvey, Joyce O’Handly and Carol McDuffie. To send flowers or a remembrance gift to the family of Margaret Yelverton Siegel, please visit our Tribute Store. "Email Address" would like to share the life celebration of Margaret Yelverton Siegel. Click on the "link" to go to share a favorite memory or leave a condolence message for the family.